No More Straining Or Struggling With The ProLift III! 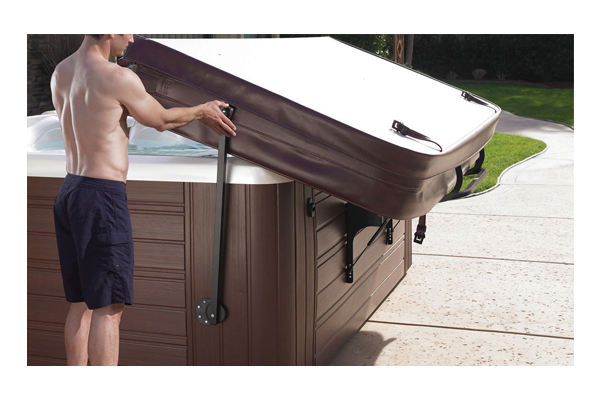 The ProLift III is an incredible lifter system that takes your hot tub ownership experience from good to incredible. The two pneumatic gas shock absorbers help to provide a smooth, quiet operation that takes all of the heavy lifting out of the equation as it does it for you. Springs do the heavy lifting, so that very little effort is required to lift or replace the cover, even on larger spa models.